December has finally arrived and some of us already received the much anticipated 13th month pay. Before you spend it all on gifts and Noche Buena, why not invest it in something long term, say a car? 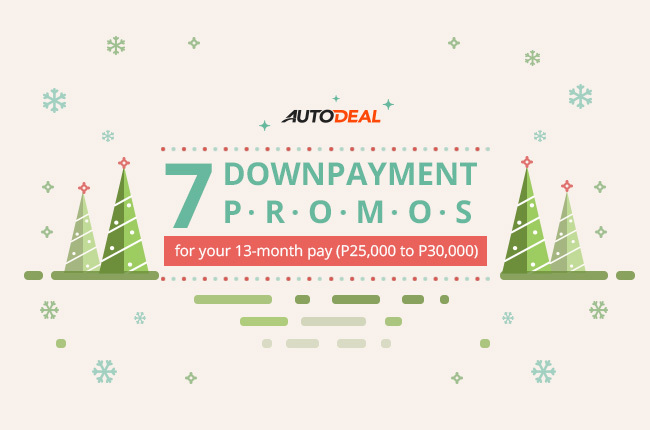 With that, we list down 7 downpayment promos that you can get this Christmas within the P25,000 to P30,000 range. Of note, these promos come with FREE 3-year LTO registration, 1-year comprehensive insurance, and chattel mortgage while others offer a bit more. Just a quick reminder though, these promos are subject to availability and bank approval. 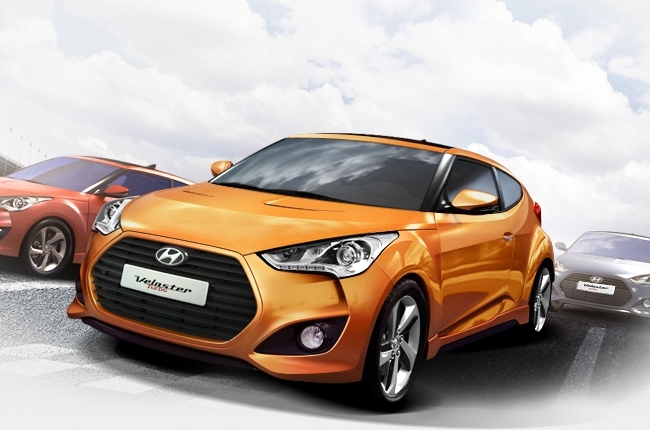 The Hyundai Veloster received an updated exterior and made its local debut at the Manila International Auto Show last April 2016. It boasts a playful design thanks to its asymmetric doors (1 door at the driver’s side and 2 at the passenger’s) and the vehicle comes with a coupe/hatchback silhouette. Under its hood is a 204 hp T-GDi gasoline engine mated to a 7-speed dual-clutch automatic transmission with H-Matic. Inside, it is equipped with a 7-inch touchscreen head unit with premium audio speakers and automatic climate control. 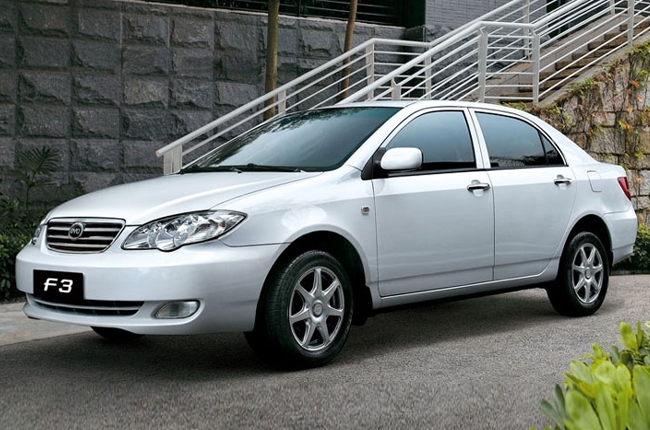 Available exclusively for businesses, fleet, or police use, the BYD F3 can carry its passengers comfortably thanks to its generous leg and elbow room. This compact sedan comes standard with black leather interior, rotary air conditioning system with cabin filter, 4-wheel disc brakes with 2-channel Bosch ABS. Moreover, the F3 has a EURO-4 compliant 1.5L gasoline engine mated to a 5-speed manual transmission. The F3 also comes with provisions for a taxi meter, “For Hire” sign, and roof light. 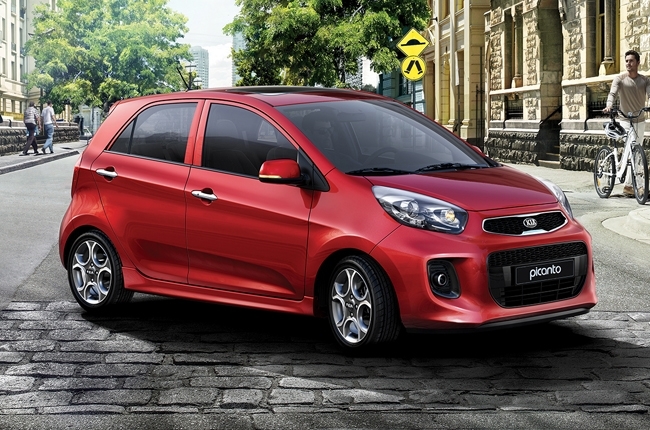 Receiving a new upbeat, youthful look, the KIA Picanto can seat up to 5 people. It has 2 variants with different engines and transmission options. 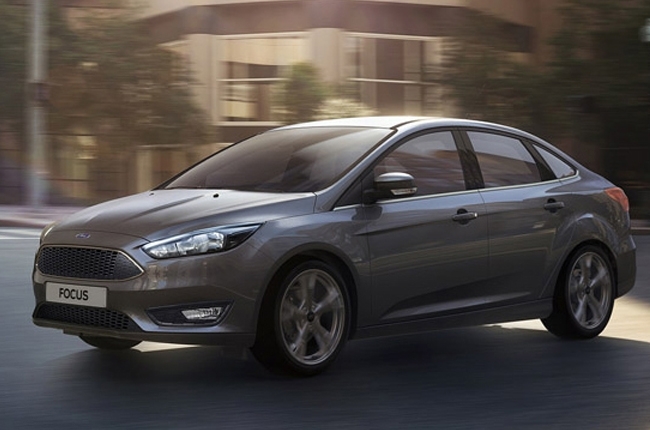 The entry-level variant has a 1.0L gasoline engine mated to a 5-speed manual transmission. On the other hand, its top-of-the-line model has a 1.2L gasoline engine paired with a 4-speed automatic transmission. The F0 is BYD’s challenger in the local subcompact hatchback market. It is powered by a 1.0L gasoline engine, paired with a 5-speed automatic transmission. The F0 comes standard with safety and security features such as dual front airbags, ABS with Electronic Brake-force Distribution (EBD), immobilizer, security alarm, and electronic door locks. In addition, a single in-dash head unit with 2 speakers, 14-inch wheels, and a 5-year or 100,000 kms warranty (whichever comes first) is also available with the BYD F0. 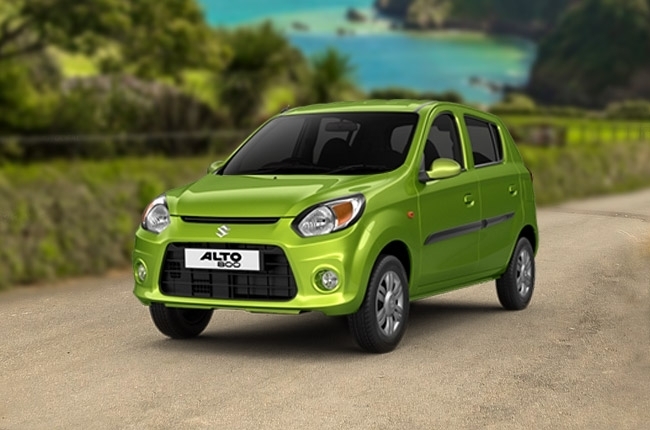 Aside from its relatively affordable price of P398,000, the Suzuki Alto 800 comes with an economic 0.8L gasoline engine and can seat up to 4 people. These reasons make it one of the better choices for those searching for their first car without breaking the budget. 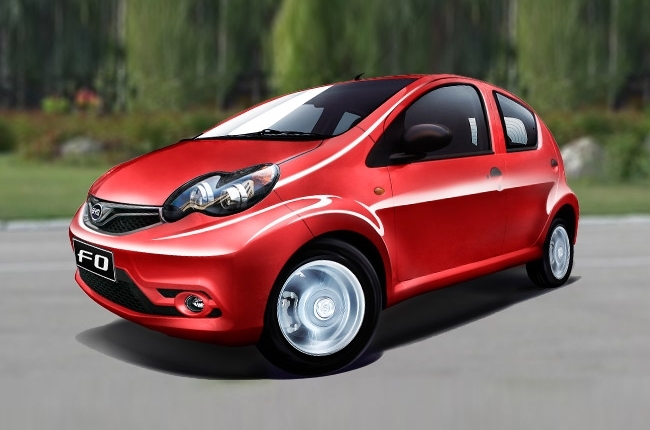 Even with its small size, the Alto 800 can still carry up to 177L worth of cargo. 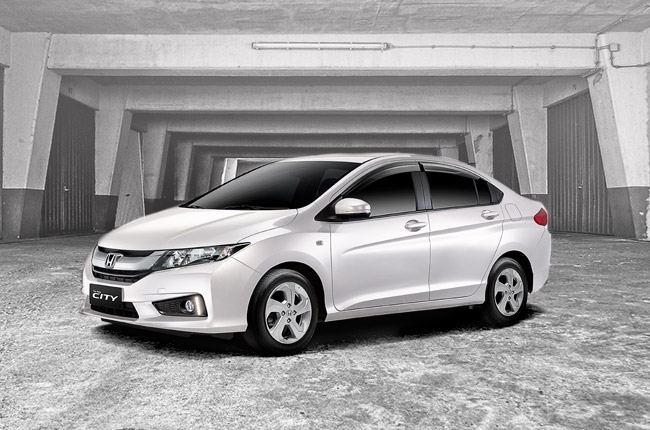 Born out of a recent study by Honda engineers, the City E Limited Edition focuses on the common preferences of a Filipino car buyer such as child safety and occupant protection against heat and airborne diseases. With this, Honda equipped this variant of the City with UV cut glass, auto door lock (activates at speeds of 15 km/h), and a key fob-equipped panic button. Under the hood, the City comes with a EURO-4 compliant Honda Earth Dreams 1.5L i-VTEC gasoline engine which features the Eco Assist System with ECON mode. This is then mated to a Continuously Variable Transmission (CVT).